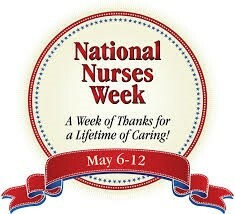 May of each year is when we celebrate National Nurses Week. But do you know why? Well, it all began with Florence Nightingale. Nightingale could often be “observed alone,” checking up on the wounded “with a little lamp in her hand.” Just like that, Nightingale won international acclaim as the benevolent “Lady with the Lamp.” She was over 38 nurses during The Crimean War and completely changed the care for these soldiers during her time caring for them. Because of her and many others after her in the years to come, nursing has become a very well-respected profession. In the 1800’s, it wasn’t nearly as respected as wages were very low and was at times considered to show a low social status. In February of 1974, a week was designated by the White House as National Nurses Week and President Richard Nixon issued a proclamation. Here at Guardian Pharmacy of NWFL, we are so thankful for the nurses that we are able to work with throughout our communities. We also have two nurses on staff here with the pharmacy, Stacy Quinnell, LPN and Karey Lambert, RN. Without them we wouldn’t be able to offer the education, survey support and continuous quality customer support that we are able to provide. So many thanks to our nurses, the community nurses and to the pioneer of modern nursing, Florence Nightingale. Happy Nurses Week to you all.